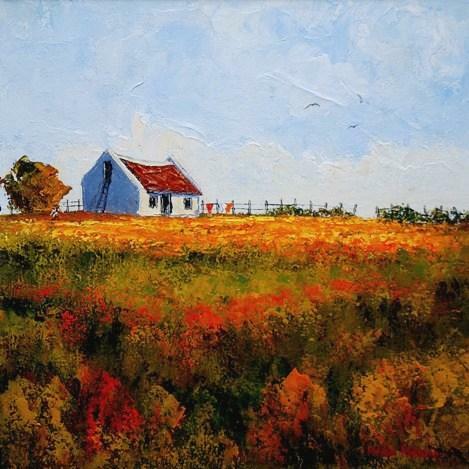 Marius Prinsloo was born in Pretoria in 1962. 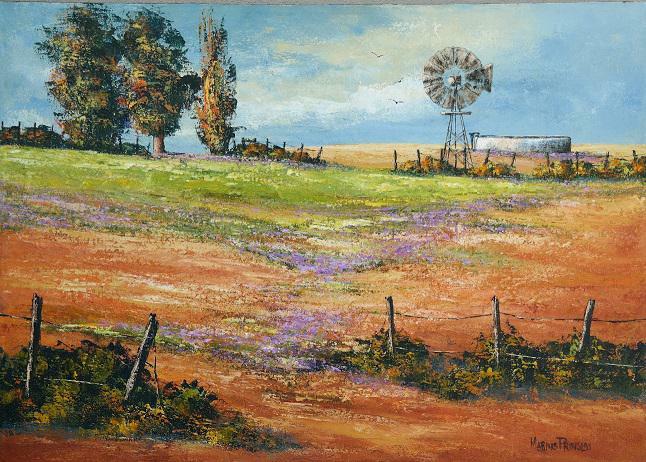 He was always fascinated with art and sketched from an early age until he started painting with watercolours in 1995. 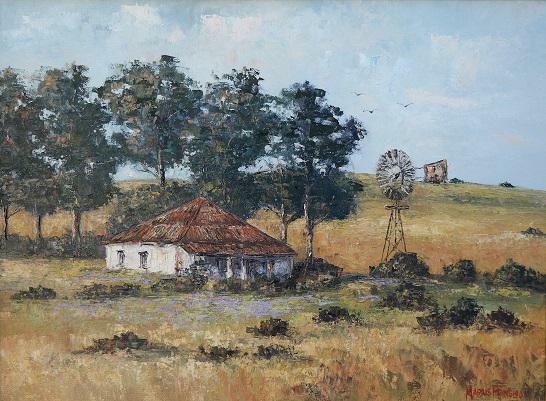 In 1998 he moved from Pretoria to Bredasdorp in the Overberg where he began painting with acrylics and fell in love with the versatility if the medium. 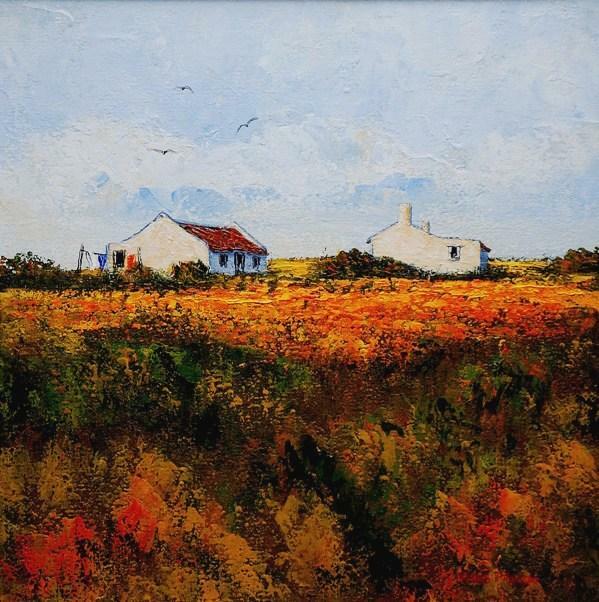 He worked as an advertising consultant for a few years but due to the constant demand for his paintings he resigned and painted professionally since November 2001. 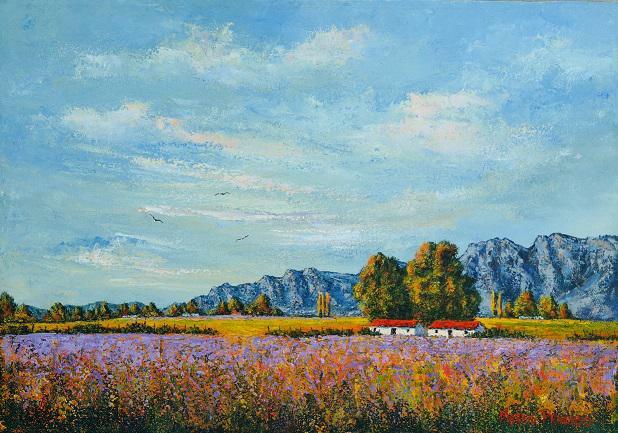 Marius specializes in landscapes and seascapes and some of his favourite scenes are from the Overberg, Karoo, Stellenbosch, Franschoek and West Coast regions. He is well known throughout South Africa and specializes in doing demonstrations at festivals and expo's. 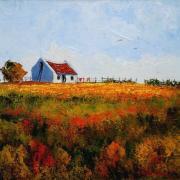 Although most of his paintings are done with a palette knife it sometimes include brushwork. 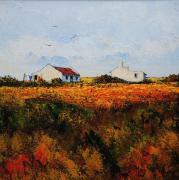 His paintings are a unique blend of impressionism and realism with bold and vibrant colours in either acrylics or oils. 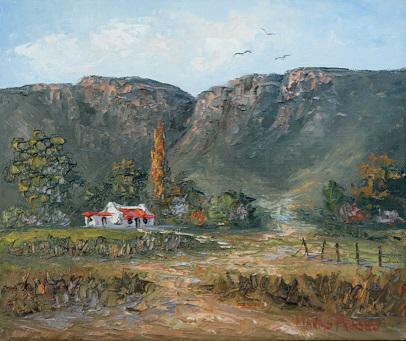 Highlights of his art career includes an invitation to Atlanta USA to do a mural for a customer as well as a guest appearance on the TV2 Program Pasella where he had to paint a scene from the beautiful West Coast town Jacobsbaai. 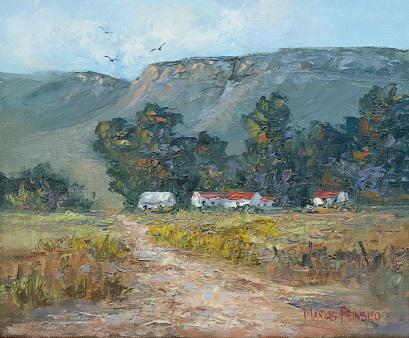 Marius has been part of the Tygerburger's yearly 'Cause we Can' production where he is commissioned to paint lifetime awards honouring artists for their contributions to the South African entertainment industry. Recipients of these awards were Trix Pienaar (2006), Johan & Lida Botha (2007), Ollie Viljoen (2008) and Fanus Rautenbach (2009). Marius' trademark in his paintings are the 3 birds he paints in the sky representing the ever presence of the Trinity in our lives.